Chinese astrology was created as a field since the Zhou Dynasty (1046–256 BC). Since then it increasingly led people’s lives. And with it, the Chinese animal zodiac, or Shengxiao (生肖, sheng1 xiao4), meaning born resembling, was also created. It is a repeating cycle of 12 years, with each year being represented by an animal and its reputed attributes. The stories of these animals are fun material for kids learning Chinese. Traditionally these zodiac animals were used to date the years and all the animals picked are those that were important to people in the past, as you will notice most of the animals are farm animals. It’s a great topic to focus with children because not only does it introduce concepts of Chinese culture but they can learn how to say and write the names of 12 new animals. 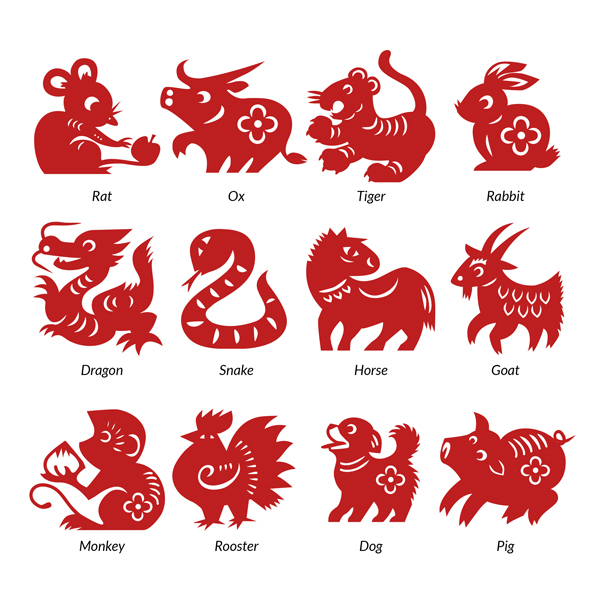 Let’s start with the basics, the Chinese zodiac has 12 animals that come in the following order: rat, ox, tiger, rabbit, dragon, snake, horse, sheep, monkey, rooster, dog, and finally the pig. They repeat every 12 years based on Chinese lunar calendar, and so it follows the moon, not constellations. On top of this, every 12 years is also linked to a symbol, wood, fire, earth, metal, water which repeats every 60 years. 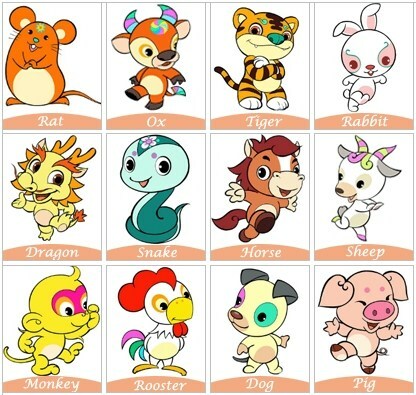 You can start introducing the topic of Chinese Zodiac by telling the story of how the animals and their order was selected! It’s a story filled with friendship, companionship, and even betrayal. The behavior of the animals portrays the character of that zodiac. The basic story follows that the Jade emperor told all animals that he needed 12 animals for his calendar, the first to arrive would be honored, and there begins the race for fame. There are cartoons and books that can be used to introduce the story, you could even do some arts and craft with your child and draw the story, create Chinese style paper-cut outs, or create a puppet show. In the story, the animals behave in very significant ways, because of this each Zodiac animal has its own special character, and so it’s expected that if you are born in that year you may behave like that. For example, the rat is seen as very adaptable and smart but they can also be very picky and timid. It’s fun to explore using simple online calendars what strengths and weaknesses each of the animals have, why they have these in relation to the story and if you know anyone who is of the same Zodiac year, do they show these characteristics. This can be done by printing out the names of the animals and some of their characteristics and then asking your child to match them to the animal that they think suits them best and why. This can also be linked with CNY celebrations and what you should do to bring luck in your year. Remember that this year is the year of the dog! 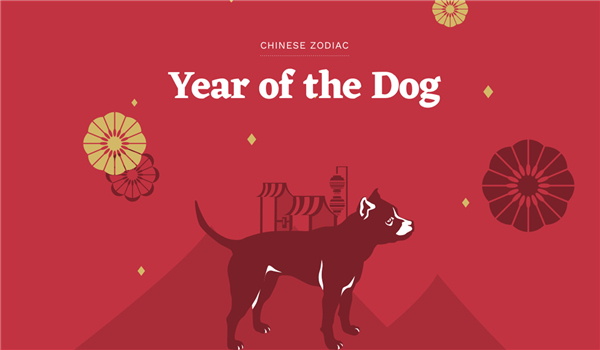 The Chinese zodiac is an important part of Chinese culture. Still even today, millions of people in China believe these predictions and use it to make decisions on things like relationships, when to have children, and even business transactions. Even if you don’t believe in it, the Chinese zodiac is a fun way to learn more about Chinese culture. I all the time emailed this webpage post page to all my associates, since if like to read it after that my contacts will too. part 🙂 I care for such info much. I was seeking this particular information for a long time. site is genuinely nice and the visitors are really sharing nice thoughts. basis. It will always be interesting to read articles from other writers and practice something from other sites.